Begin by placing olive oil in a large dutch oven and saute onions and garlic until transluscent. Add the broccolli, bouillion cube, chicken broth and water and begin to simmer. Season with salt and pepper. Simmer for about 20 minutes until everything is limp. 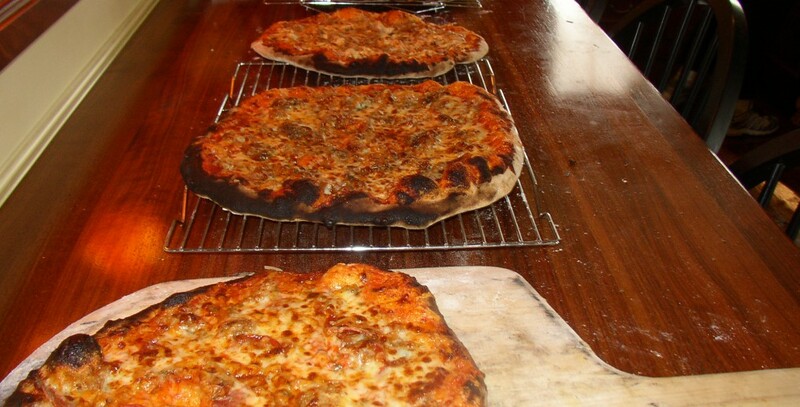 Place half and half and 1/4 cup water in blender with flour and blend for a moment to incoporate the flour. 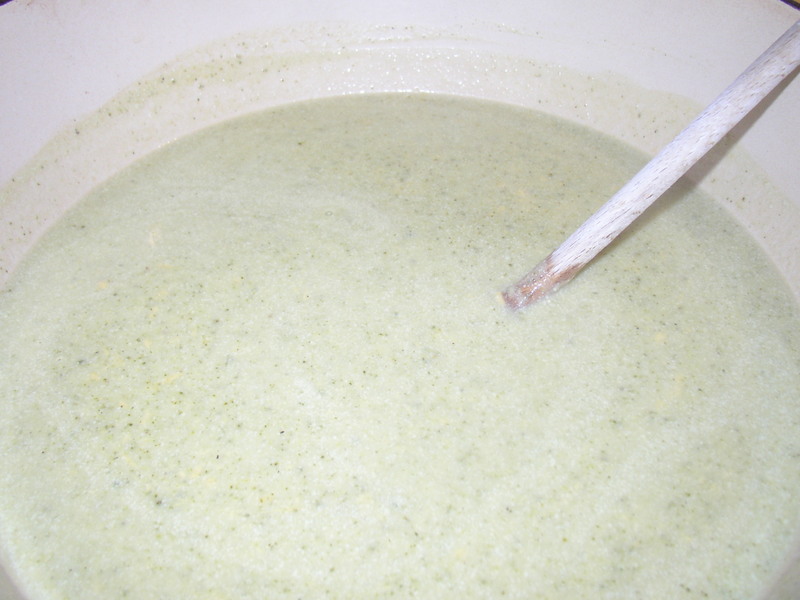 Add the solids with a slotted spoon (from the soup), and blend until smooth. Add to pot and stir. Simmer for about 5 min to cook out the flour. Season again with salt and pepper. Turn off flame. Add the cheddar while soup is hot. When cheddar has melted, the soup is done. I’ve given the approximate measure of the cheese because if you like it more cheesy, feel free to use the full three cups. Serves 6-8. 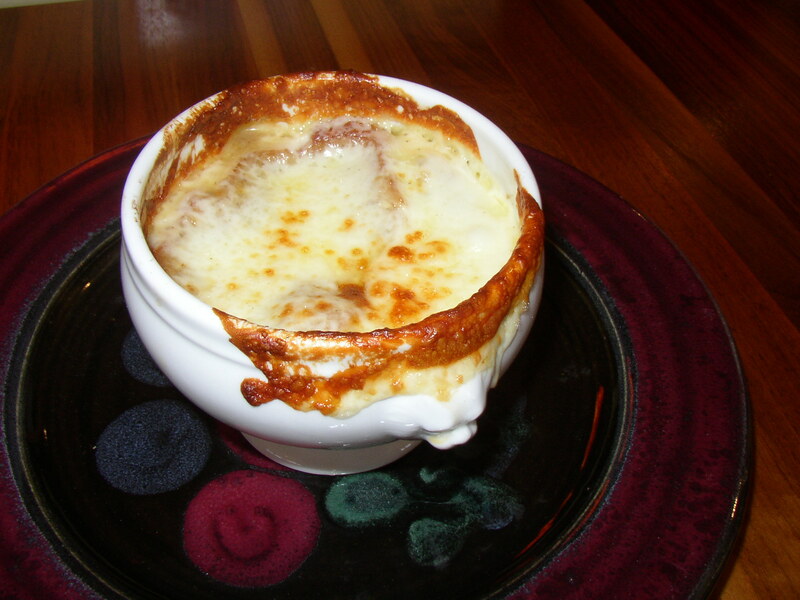 Here is my latest posting on Philly burbs…..French Onion Soup Au Gratin ala Au Pied de Cochon! Bon Appetit!